Antarctica is without doubt one of the wildest places on earth. One of the most intense ways to experience nature is to spend the night outdoors, and this is by far the most remote camp on this planet. 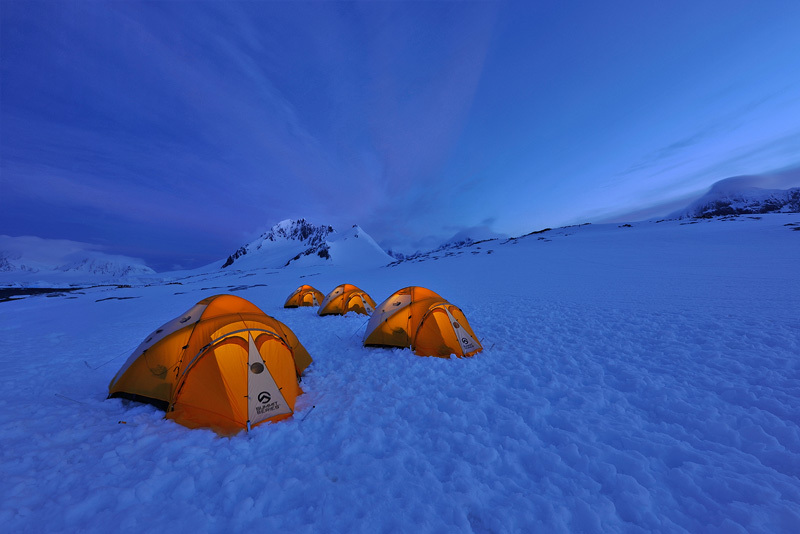 Four small tents on a sea of ​​snow and ice, an incredible experience.